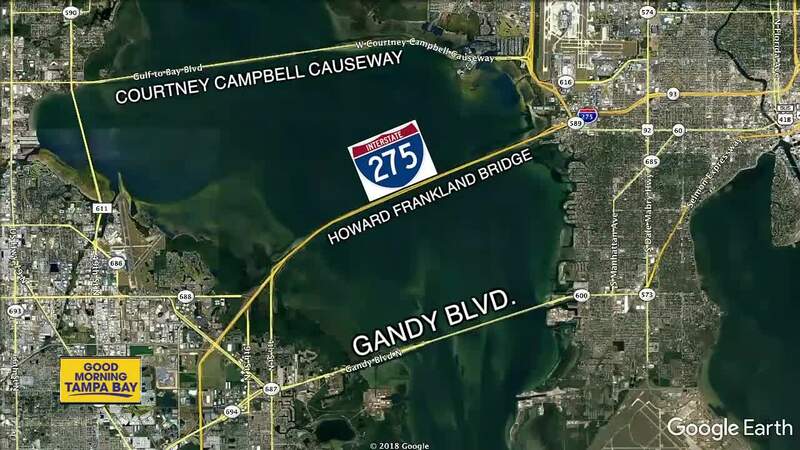 TAMPA, Fla. — People who have lived in the Bay Area for a long time know the regular hot spots for street racing or speeding are the Gandy Bridge, Howard Frankland, and Courtney Campbell Causeway. But, recently a new area is topping the list. According to statistics released by Tampa Police to ABC Action News, from Jan. 1 2016 to May 30, 2018, there have been 19 arrests for street racing. There is a cluster of four arrests along West Hillsborough Avenue between the Veterans Expressway and I-275. Two others were on the Courtney Campbell Causeway and two others near Gandy Blvd. These statistics don’t include calls about illegal street racing where the drivers were able to get away. “Street racing provides an adrenaline bump,” attorney Michael Maddux said. Maddux is not associated with the recent death of a mother and her toddler hit and killed while crossing Bayshore Boulevard on May 23. Maddux has been on both sides of the law. He has represented people arrested for illegal street racing. And, he has represented people injured or the family members of people killed by an illegal street racer or speeder. Police said illegal street racing along Bayshore where Jessica Raubenolt and her 2-year-old daughter Lillia were killed is not a hot spot for illegal racing. Police said it is an area plagued by speeders. An arrest warrant states that Cameron Herrin was traveling at 102 mph when he hit the mother and daughter giving her only seconds to cross the street even if she looked left and thought it was safe to cross.